A Lancing man has been arrested after a fatal collision on the A27 in Arundel which killed a man from Worthing, police said. A Sussex Police statement said: "Police are investigating a fatal collision near Arundel. Emergency services were called to the eastbound carriageway of the A27 just east of Poling crossroads, at 10.42pm on Wednesday (24 October). 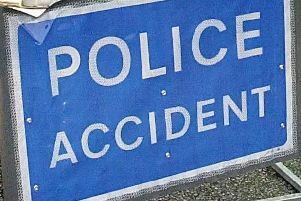 "The collision involved a blue Volkswagen Caddy van and a silver moped. The rider of the moped, a 34-year old man from Worthing was sadly confirmed dead at the scene. The driver of the van, a 29-year old man from Lancing, and the passenger, a 23-year old woman from Worthing were taken to Worthing hospital with minor injuries and later discharged. "The van driver has been arrested on suspicion of causing death by dangerous driving and is currently in custody for interview and further enquiries. "The A27 eastbound from Crossbush outside Arundel to Patching remained closed for investigation and recovery work overnight. It was re-opened just before 8am on Thursday and drivers are thanked for their patience while it was closed. "If you saw what happened please contact the police online or by calling 101, quoting Operation Hanwell."